Before you start a renovation, find home design inspiration from these beautiful homes. If you’re thinking about renovating your home but aren’t sure what look you’re going for, these images are sure to offer inspiration. From siding and doors to roofing and windows, you’ll be ready to turn your house into the ultimate dream home. The right window accents can increase curb appeal and make your windows a standout feature of your home. 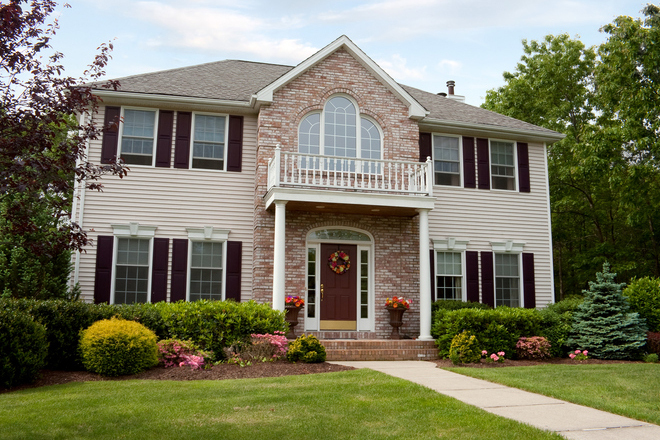 Shutters that are similar in color to your front door pull together the look and balance a lighter-colored home. 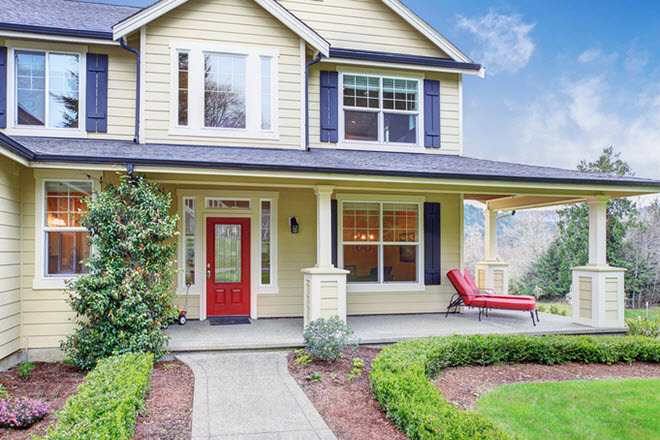 New technology has made possible deeper, richer colors in vinyl siding. We love the intense yet stately gray of the top of this home, which complements the fresh cream color of the first floor. A turret with wide windows and classic black asphalt roof add elements of visual interest. 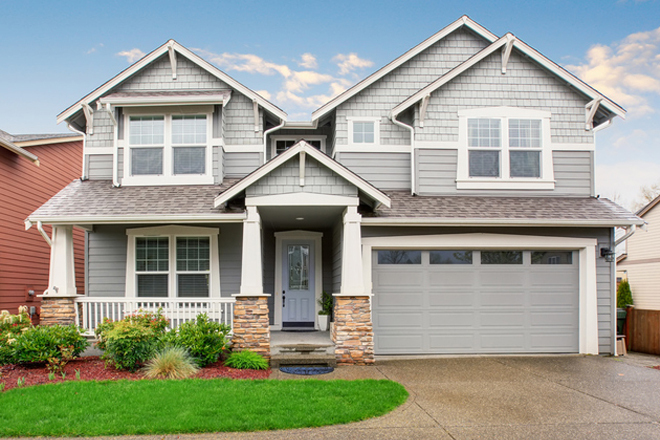 Natural siding and roofing colors help give your home that rustic-chic look. 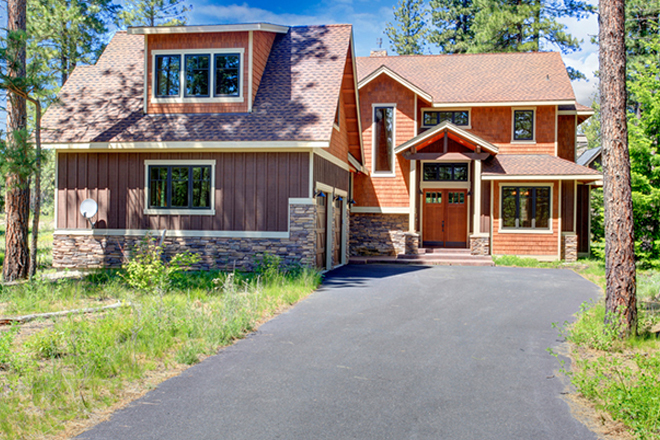 This roof perfectly complements the brown and orange siding to create an outdoorsy feel. Add a pop of color to neutral siding with a bright entry door and shutters. A roof that extends beyond the walls of the home, like this one, creates a spacious porch perfect for a few chairs, a bench or a swing. 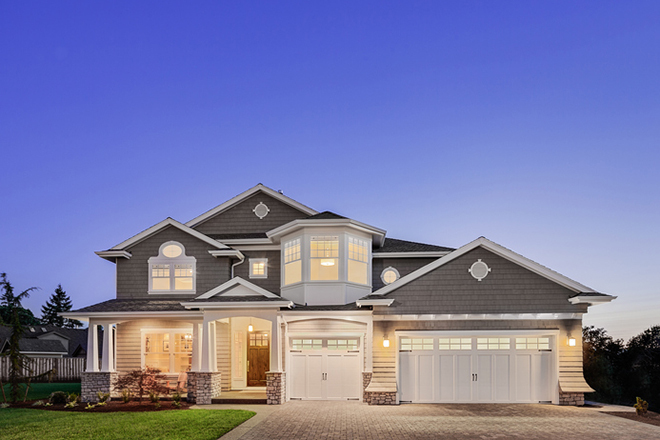 White accents pair nicely with gray siding for that Cape Cod look. If the side of your garage faces the street, add windows to make the home look larger. Ramp up the drama and make big, beautiful windows the focal point of your home. 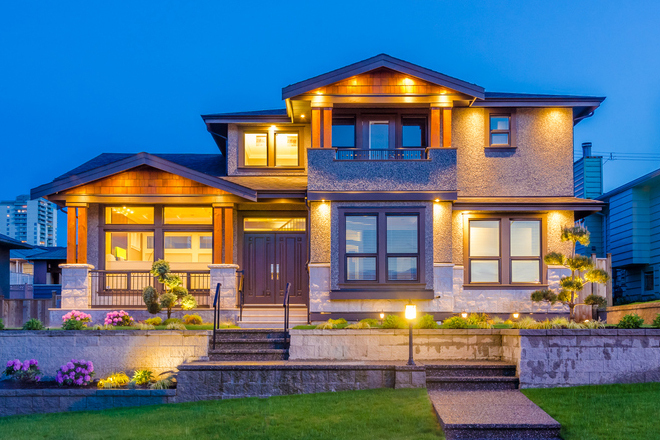 We love the way this house plays up lighting to make sure the windows stand out at night, too. 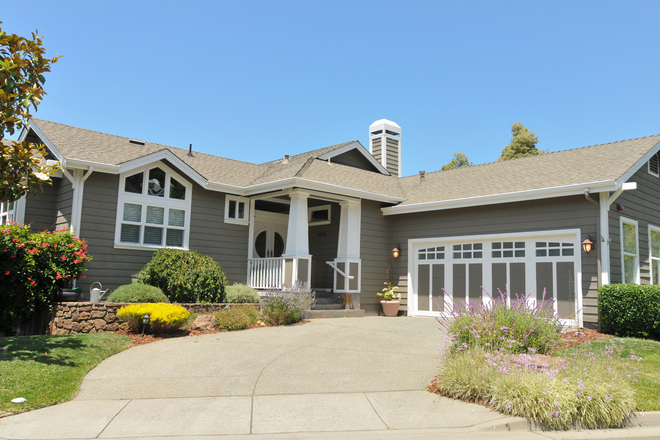 Monochromatic doesn’t mean limiting yourself to one color on your home’s exterior. You can use varying shades of gray on your siding and garage door, like in the house above, for an interesting yet cohesive look. Now that you’re feeling inspired, schedule a free in-home consultation to help bring your dream home to life.